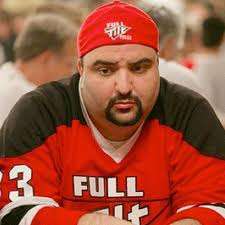 Ray Bitar sporting the Full Tilt gear at the tables. Bitar originally pled guilty to charges of violating UIGEA (the 2006 Unlawful Internet Gambling Enforcement Act) and conspiracy to commit bank and wire fraud. Bitar faced a total of nine felony counts when indicted in 2011, and faced a maximum possible sentencing of 35 years behind bars before cooperating with investigators. Though his current health status remains unknown, full details regarding the makeup of the $40 million Bitar forfeited in connection with his Black Friday indictment only began to emerge months after his formal sentencing. Bitar was also slapped with one of the largest individual fines in the case, agreeing to the $40 million forfeiture as part of the settlement. The $40 million was comprised of funds seized or surrendered from 18 separate bank accounts under Bitar’s control, located in Scotland, Ireland, Malta, Germany, and in the United States, in Dallas, Texas. Two (2) accounts at Comerica Bank (Dallas, Texas). Bitar also surrendered ownership in several properties as part of the plea deal, including four homes and commercial properties in California, two more in Terre Haute, Indiana, and one-tenth ownership in a resort vacation unit in Bermuda. In addition, Bitar surrendered his ownership and/or equity interest in 23 separate corporate entities connected to Full Tilt’s global operations, including software ownership holding company’s Tiltware, LLC and Pocket Kings, Ltd. Other corporate Full Tilt entities were revealed as a result of Bitar’s settlement, with the full list showing these: BT Management; Dromane Limited; Filco (Holdings) Limited; Filco Limited; Fitzroche Limited; Graybel Limited; Irolo (Italy) Limited; Kolyma Corporation AVV; Ludus Limited (Cyprus); Media Management GmbH; My West Nook Limited; Oxalic Limited; Orinic Limited; Pocket Kings Consulting Limited; Pocket Kings Limited; Ranston Limited; Real Kings LLC; Rekop Limited; Rosbull Limited; Rullan Joyce Limited; Tiltproof Limited; Tiltware LLC; Tiltware Merchandise Services LLC; and Vantage Lmited. The existence of many of the corporate entities in the above had already been revealed through prosecution documents, while others became known only through Bitar’s cooperation and legal need to pay the full extent of the civil forfeiture connected with his plea deal. Bitar also surrendered his interests in at least nine business entities not connected directly to the Full Tilt operations, in documents which were finalized only earlier in 2014. The list included everything from an entertainment company to a fledgling brewery operation, and was comprised of the following: Sierra Slover LLC; Path to Prosperity Inc.; Panjia Inc; RCR Pictures LLC; Exit Row LLC; PASG LLC; LBC, LLC; GLX Limited; and B.C. Brewing. Bitar was one of 11 individual Black Friday defendants who faced charges in connection with the online-poker crackdown, which forced PokerStars, FTP and Absolute Poker (also including UltimateBet) out of the US market. Eight of the 11 defendants have pled guilty and been sentenced for their roles, while three others officially remain fugitives outside US jurisdiction.